Been lurking and reading a lot on here. Have never been to Baja. I plan on going in Jan solo with a dog to escape the short dreary, cold sunless days of W OR for a few weeks or more. Maybe as far down as Mulegé. Seems most like the Tecate entry. Where is a good place to stock up the truck camper? I have learned from here that crossing with a bunch of food is not recommended, along with full jerry cans. Also where is a good place to stay the first night? Camping? Motel? combination of both? If you've been watching Nomad for awhile many of your topics have been covered in one form or another. Basically - Get a Mexican Auto Insurance Policy - it would seem that an annual, or at least a six month policy would be best. Baja Bound, Discover Baja, Lewis & Lewis - all are about the same. Baja Bound seems a favorite. Jerry cans ought to be empty, and there isn't much need for them unless you plan to do a lot of off-highway routes. There are plenty of gasoline stations along the main highways. There are big supermarkets in the larger towns, smaller markets are plentiful. Tecate is a good entry point. We've never concerned ourselves with taking too much food - take what you like - the markets have plenty of food varieties but if it is something particular you wish, you may not find it. Relax and enjoy your time. Camping as much as possible. Coupled with some type of fishing. Probably a lot of surf fishing. Yep, I’ve read about the insurance and fmm card. Fishing license though? Thought I read it wasn’t required unless on a boat. I definitely plan to get off the highway to find camping and fishing. Seems most aren’t too far off the main road. I hear you about the night driving...heck I don’t care to drive around here at night much. If you need anything special in the way of food or drinks, bring them with you. It's about 1 1/2 hours from Tecate to Ensenada, 3 hours from Ensenada to San Quintin not counting stops for fuel, shopping. I haven’t seen any posts complaining about mosquitos. Not a problem in the Winter? Probably bring bug juice just in case. Sooner or later, storms will return to the pacific coast. Because of that, in January I would recommend you head east of the Sierras and head south through Nevada. I-5 is the most efficient way to the border, but that is not what I am looking for when I go on a road trip with my dog! I plan on crossing the border at Mexicali this year, but I have used Algodones, and San Luis before, and prefer that to dealing with Southern California traffic! I think a loop route that includes both Mex hwy 5, and hwy 1 would add interest to the trip. 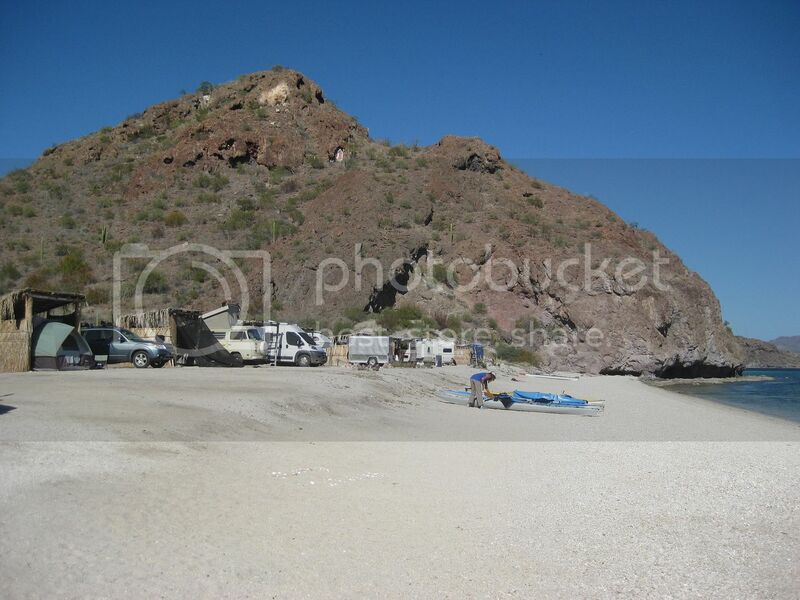 Mulege is a good stop, and in my opinion, It has changed less over the years than the rest of Baja! Yes on having bug spray! There may or may not be mosquitos where you camp, but there are also black gnats that for me, are worse than mosquitos! If you are wearing sandals, don't forget to spray your ankles and feet. Knowing if you have 4WD and an air pump will help us guide you to spectacular sand beaches. The FMM you get at the border, only Tijuana has great parking in front of their building. Tecate has one-way streets just inside Mexico and a parking area (move cones) for the INM office, but it is on the right street at the cross block, and that is a street that only turns left... so you make a big 2-block circle. You may see street parking closer. Other than that, not a big deal but you do walk through turnstiles that make you think you are leaving Mexico on foot! Just follow the arrows north, then left across the entrance to Mexico street and enter the building. INM has a small office. Bring your passport! You may be asked to walk outside to the small bank kiosk to pay for a 180-day FMM than take that back inside for final stamp. I do have 4x4, air pump and plug kit. Thank you for the fmm tips! !si! !si! I am with you on efficiency not being a high priority. I will not have anywhere I “have” to be at all. No schedule. If the weather is good, fishing ok and the people are kind where I make my first stop....I may not leave...until it’s time to come home. Mood: I'd rather regret the things I've done than regret the things I haven't done. 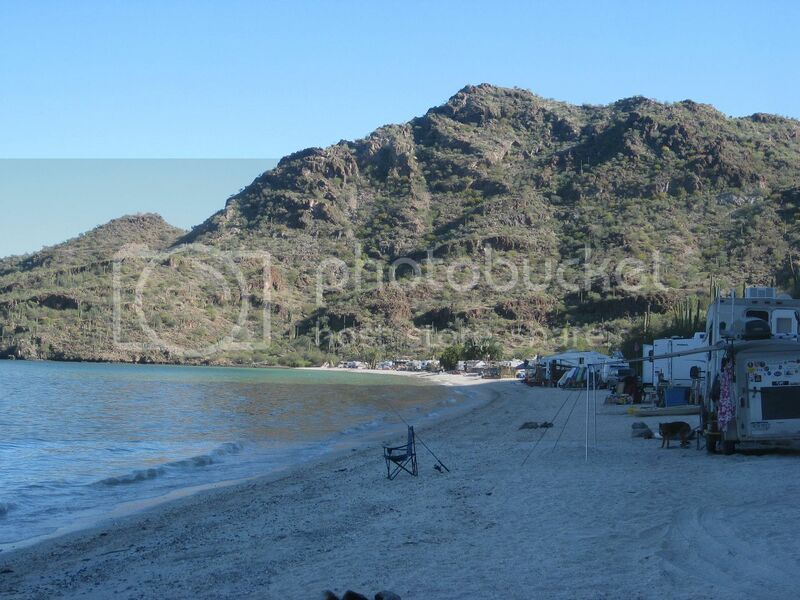 If your tentative plans is to get as far as Mulege go 10 minutes further and spend some time in Bay of Conception. 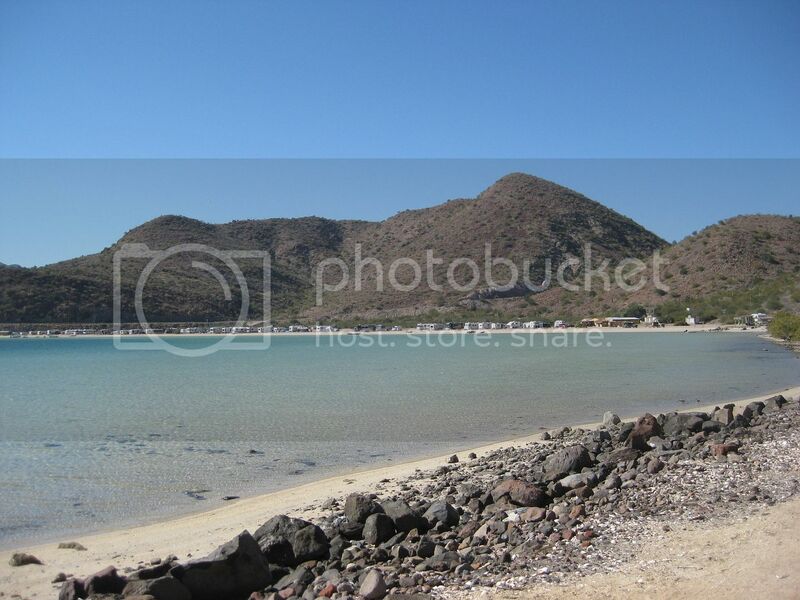 You will get some feedback here on how crowded it will be due to the annual migration of snow birds but for a little further ride it is well worth for you to decide on what I feel is one of the nicest beach areas in Baja that is easily accessible. 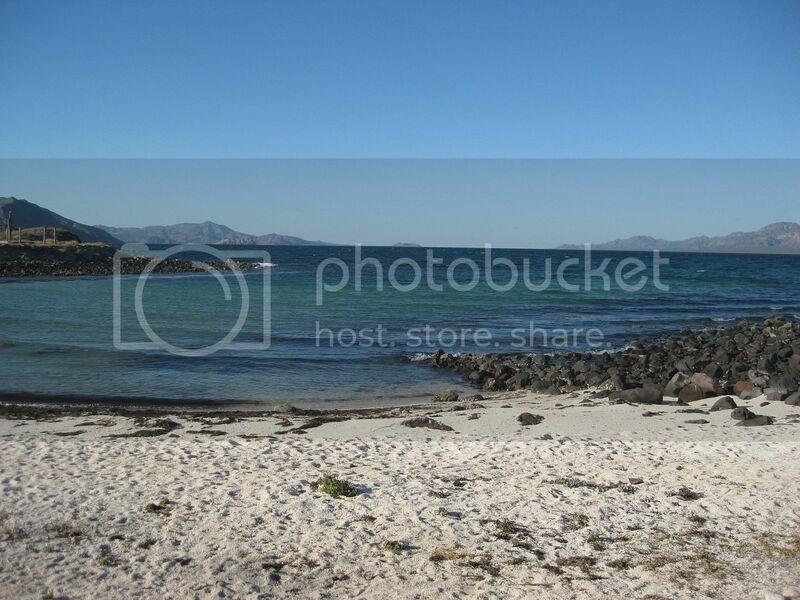 Yes there are nicer beaches somewhere in Baja but a little more difficult to get to. Yes! I am interested in the sea of Cortes. Bay of Conception looks nice on a map. Very protected it appears. I want to see that for myself. Hope the water is clear in January! Keep the Vizcaino Peninsula open as a Pacific region of easy access, several, villages for supplies and gas (Punta Abreojos, Bahia Asuncion, Bahia Tortugas) plus a few smaller ones with some supplies and maybe gas (La Bocana, San Hipolito, Punta Prieta, Punta Eugenia). Baja Blanca is at La Bocana and may be available to point you to fishing plus she has some nice rooms for rent. Shari is at Bahia Asuncion (when she isn't doing whale tours) and has a beautiful Inn and also can point out all things to do around there. Her husband Juan may be available to take you fishing. They can provide a license. You do not need a fishing license if fishing from the shore. I have 8 Trip Reports over on the Nomad Trip Reports forum covering most of Baja in 2017 and 2018 with photos, details, road logs, etc. So, feel free to take a look there if that helps. They were information gathering trips for a new road guide. 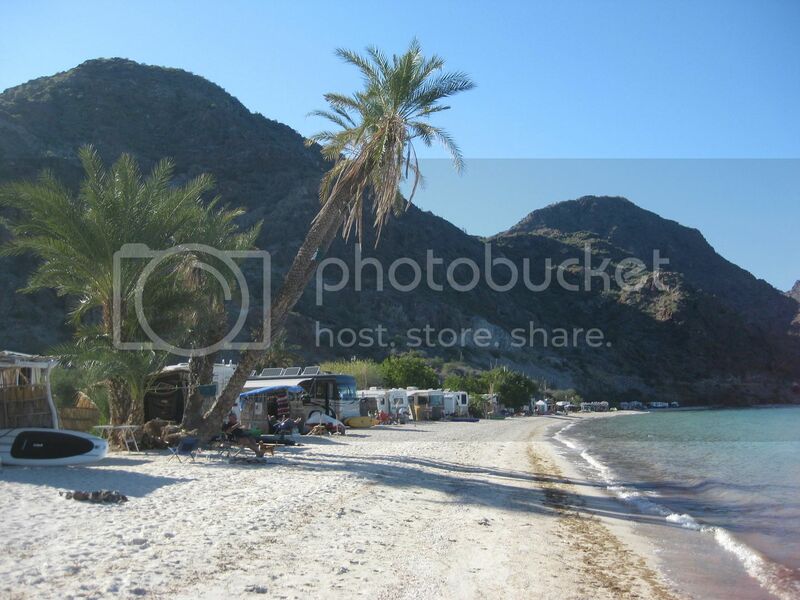 Bahia Concepcion is VERY popular in winter as it seems every Canadian with a motorhome stays there a month or more! 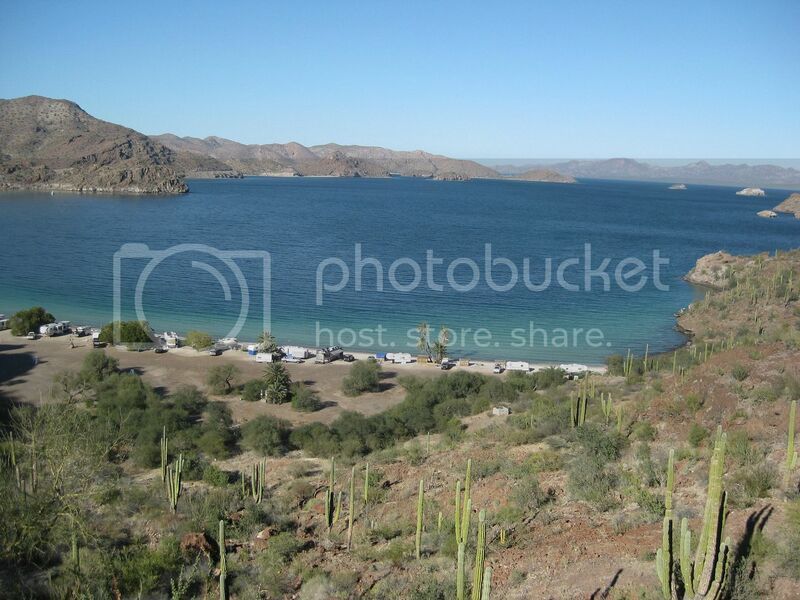 View of El Coyote on Bahia Concepcion from near the highway, above. 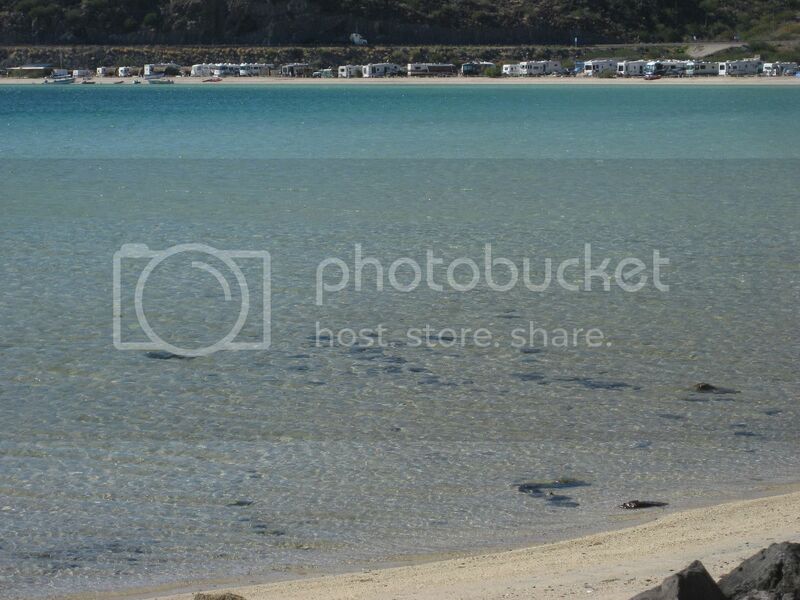 Playa La Perla is the least crowded and very nice. Thank you so much for all the advice. I really do appreciate it from all of you Baja veterans. The supermarkets are fantastic excursions! Google Translate is your friend, even if it might be a bit off sometimes. I still don't know what "cham" means, but when I asked for "fiambres de parvo" and agreed with "Cham? ", I got the deli turkey slices I was after. Mexicans seem to like lime in a lot of things. I learned to pay attention to product labels after the first parvo sandwich I made with lime mayonesa. Not necessarily bad, just...unexpected. Tecate & Tecate Light are interchangeable with Coors & Coors Light. Have a currency converter app loaded on your phone. It takes the sting out of spending MX1K$ on a cart full at the supermarket only to figure out that it amounted to ~US$50. The US$ goes a long way there. Ah yes! A currency converter! Good idea. Plan to convert some dollars to pesos before crossing. Verde limon? No word for lime in Spanish...just green lemon! 2 weeks in Loreto is way more than I.
Pangas....yes! I hope to be able to fish from a few! Does look a bit crowded there! Hope it doesn’t actually ‘feel’ that way. But the scenery looks great!